There are many reasons why you will need to replace your vehicle's door lock actuator. 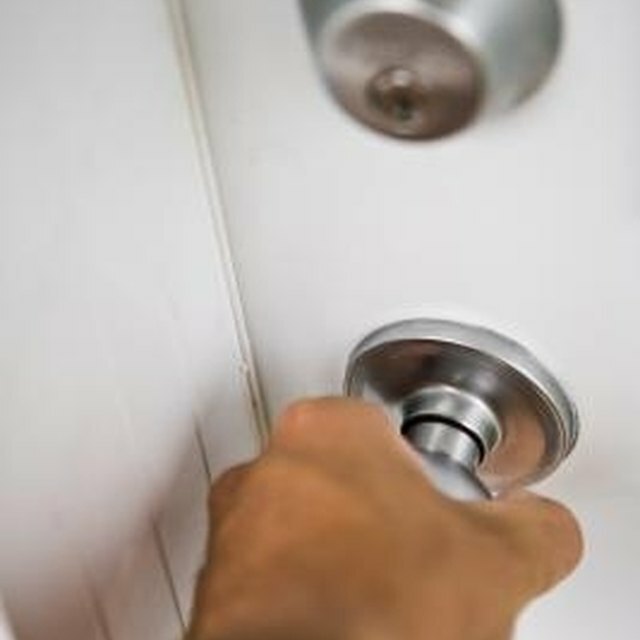 One reason is that one or more of your front doors will no longer work when you turn the door handles or use your key. Or you may want to replace your door lock actuator because you can no longer use your remote door key. Replacing the door lock actuator for a vehicle is the same for all vehicle models. There are many reasons why you will need to replace your vehicle's door lock actuator. One reason is that one or more of your front doors will no longer work when you turn the door handles or use your key. Or you may want to replace your door lock actuator because you can no longer use your remote door key. If you need to replace the door key actuator that controls your power locks, you can do it yourself with a few easy steps. Disconnect your negative battery cable with an eight-millimeter wrench before you get started. Remove the two Phillips screws under or above the door handle and any other screws that are holding the door handle panel. Once the door handle panel comes off, the switches are still connected and need to be removed. Push in the thumb tabs to push out the switches that are connected to the door handle panel. Use your flat screwdriver to release the mirror switch from its clip. Do the same for all of the switches. The power switch may also have screws that you need to unscrew. Use your screwdriver to unscrew them. Pop out the window switch. Once you do this, pop off the top and the bottom bezel with a flat screwdriver so the switch can go through the hole on the door handle panel. The door handle panel is now completely off. Remove the screws on the door panel itself and the side rear-view mirror panel using your Phillips screwdriver if it has Phillips screws. Push the door panel upward to slide the door panel off. Remove the plastic shield from the door gently. Use your flashlight to locate the door lock actuator, which is inside the left corner of your door. You may need to unscrew screws that are holding the actuator in place. Remove the old actuator. Some door lock actuators are held in place by a bracket. Use your flat screwdriver to push in the arm of the actuator to release it from the bracket, and remove the harness from the actuator if there is one attached. Attach the new actuator and replace any screws. Before reassembling the plastic shield and the door panel, it's important to test the actuator to make sure it is working properly by pressing your key's remote. Once you confirm it is working, you can reassemble all of your pieces, including reattaching the negative battery cable, and you're done. Honda Tech: Accord D.S. Lock Actuator - Microswitch Repair/Reset? What Is the Best Way to Keep a Garage Cool in the Summer? What Do You Need to Do to Change a Roof Design?